JRPG Jungle: Deals Ahoy! (Australian Edition): Hyperdimension Neptunia: Producing Perfection Is $29 At JB Hi-Fi!! Deals Ahoy! 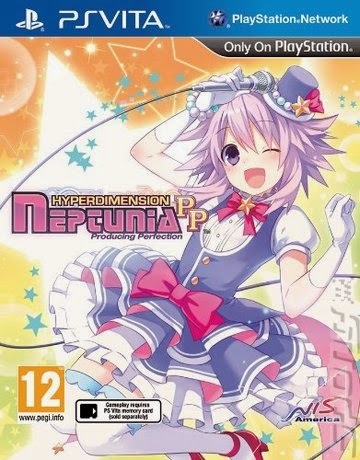 (Australian Edition): Hyperdimension Neptunia: Producing Perfection Is $29 At JB Hi-Fi!! To my surprise a few days ago, I found Hyperdimension Neptunia: Producting Perfection for $29 at JB Hi-Fi. Last I checked it was something like $50 (this was around release day), so this is a really good deal! I don't know how long the deal is for, so I suggest picking it up as soon as you can. I've been playing it for the last few days and it's quite fun, particularly if you're looking for something light and humourous after a long day at work like I was! You can find the deal on JB Hi-Fi's website or at one of JB Hi-Fi's stores.